Over 300 universities, institutes, governmental, public and other scientific bodies currently form a network of Member State organisations active in fields within EFSA’s mission. EFSA promotes ties between these organisations through coordination of joint activities, exchange of information, development and implementation of joint scientific projects. This networking futher boosts the sharing of expertise and best practices in these scientific areas. Competent organisations in Member States carry out various tasks in support of EFSA’s work, including preparatory work for scientific opinions, scientific and technical assistance, collection of data, and identification of emerging risks. Some of these tasks may be supported financially, in particular in the form of grants. Only organisations on the List of Competent Organisations (also known as Article 36 List) are eligible to receive grants. The establishment of the List of Competent Organisations designated by Member States is required under Article 36 of EFSA’s founding regulation. In 2019, the List of Competent Organisations will be renewed. Designation of organisations on the list will have to be confirmed or withdrawn by Member States. All organisations on the list are requested to provide new, up-to-date information to their EFSA national Focal Point, to demonstrate that they still meet the criteria for inclusion on the list. Below you will find answers to some of the most frequently asked questions. For further information, please contact your EFSA national Focal Point or EFSA (cooperation.article36 [at] efsa.europa.eu). 1. What are “competent organisations”? The term originated in Article 36 of EFSA’s founding regulation (Regulation 178/2002), which is why these organisations are also known as “Article 36 organisations”. are designated by a Member State for inclusion in the List of Competent Organisations. 2. How does an organisation become designated by a Member State? Organisations which fulfil the eligibility criteria set out in the Implementing Rules (Regulation 2230/2004) can be designated by Member States for inclusion on the list. National EFSA Focal Points support their country organisations in the process of designation. EFSA’s Management Board regularly updates the List of Competent Organisations based on this input from Member States. 3. How is the list updated? The List of Competent Organisations is updated continuously by EFSA’s Management Board. The aim is to keep the list up to date and useful for networking, by including new organisations designated by Member States and removing organisations which have been withdrawn. The national EFSA Focal Points support and facilitate the maintenance of the list at national level. 4. What is the role of the Focal Point in updating the list? Focal Points are tasked to facilitate and support management of the List of Competent Organisations at national level. contact EFSA to oversee the process of updating the List of Competent Organisations for their country. 5. What are the timeframes for updating the list? The inclusion of new organisations on the list is authorised by EFSA’s Management Board, which meets regularly four times a year. New designations or substantial changes to organisations need to be sent to EFSA by the country’s permanent representation/mission to the EU in Brussels at least one month before the Management Board meeting. Organisations can update their contact details directly online. 6. What should an organisation do if it wants to join the list? An organisation interested in joining the list should contact its national Focal Point, which will explain the procedure. 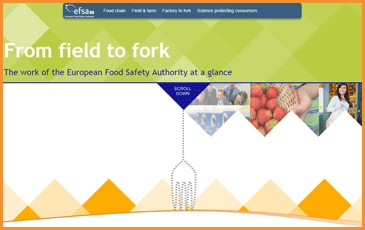 Contact details of the Focal Points are available on the EFSA website here. 7. What should a competent organisation on the list do if there are changes to the organisation? If there are any changes to organisations on the list, the respective Focal Point should be informed immediately. The Focal Point will check the type of changes and support initiation of the relevant procedures accordingly.